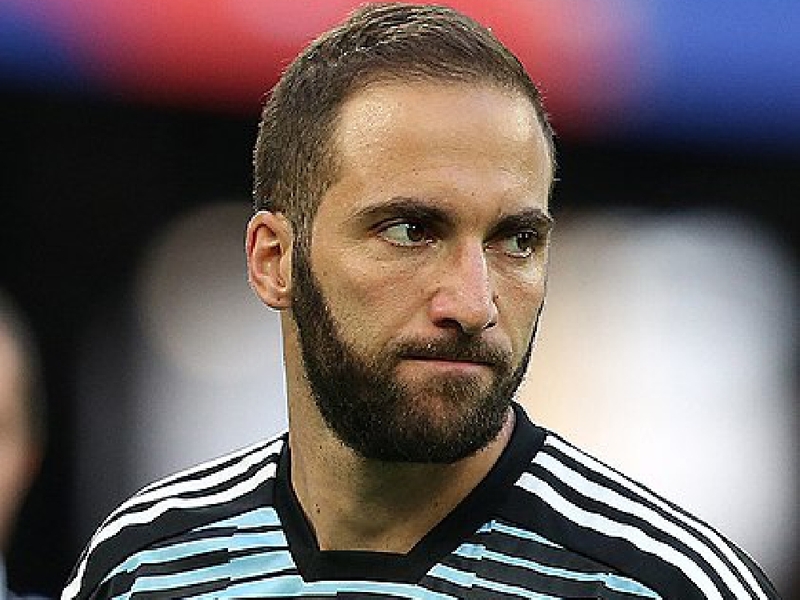 Gonzalo Higuain has been brought in because Chelsea are worried they might not qualify for next year's Champions League, according to one club legend. Higuain passed a medical at Stamford Bridge earlier today and is expected to sign a loan deal imminently to bring him to Chelsea until the end of the season. The move has been made with Maurizio Sarri apparently having lost patience with Alvaro Morata and Olivier Giroud but former Chelsea striker Kerry Dixon reckons the form of Manchester United and Arsenal has left the club worrying about their top-four status. "When they spent the money they spent on Alvaro Morata, lots of people thought that the striker would be given his chance after a spell at Real Madrid and with a little bit of improvement he could be the solution to the problem Chelsea had after the loss of Diego Costa," Dixon told The Brian Moore Show (weekdays 3pm-7pm). "But as it turns out, it wasn't the case and with Michy Batshuayi going one way and Olivier Giroud coming in as a bit of a support act, neither have been successful. What do you think, Chelsea fans? "Chelsea are in a decent enough position - realistically they're not in the title race - but they're still in a position that is a little bit better than last season. "But they are in danger if they don't act of not making the Champions League this season and I think that's the reason they've gone for Higuain in January." The Argentinian striker has scored more than 200 league goals across La Liga and Serie A but has struggled this season at AC Milan. However, Chelsea fans will be hoping that a reunion with Sarri, who saw him score 36 goals in a season for Napoli, will help him return to top form. That too could release Eden Hazard, who has been forced to operate in a false nine role which he says he has told Sarri he does not enjoy. Dixon added: "I don't want to knock Sarri because he appears to be quite a nice bloke and he wants to do a good job. "He's got his ideas and after trying various things - and he's not the first manager to play Hazard up front, Antonio Conte did it with three smaller men up front with varying degrees of success - but it is affecting Eden Hazard, I feel, being asked to carry the front line. "With the interweaving that they do with the likes of Willian, Pedro or Hudson-Odoi, it works on occasions and it might work against some of the smaller teams but it's not going to work in the big games and Chelsea might well suffer. "In the first Tottenham game there were a couple of shots from distance that the keeper patted down and any natural goal-scorer or striker in and around the box would have got the tap-ins. "When the goal quotas are added up, it's not all about the thunderbolts from 20 yards or volleys or so many headers. "It's about your tap-ins, your intelligence, your getting across the first man - there are loads of different reasons why you get your totals and at the moment Chelsea are struggling for a player to get anywhere near 20 goals a season."